Mary Ellen Mark also made a living doing fashion photography, portraiture, advertising photography and as a unit photographer on movie sets. Hers was a career that thrived in print, though. She had eighteen books published. Her work was published in marquee magazines like Vanity Fair, Rolling Stone, Life, Time and The New Yorker, again… to name just a few. The list of famous people she photographed is simply incredible, covering actors, political and religious leaders, athletes, musicians, writers and directors. Her photographs hang in the permanent collections of many different galleries. She received the Lifetime Achievement in Photography Award from the George Eastman House last year, along with multiple other awards throughout her career. Mark was also a member of Magnum Photos from 1977 to 1981. True to her trailblazing self, she formed her own agency in 1988. 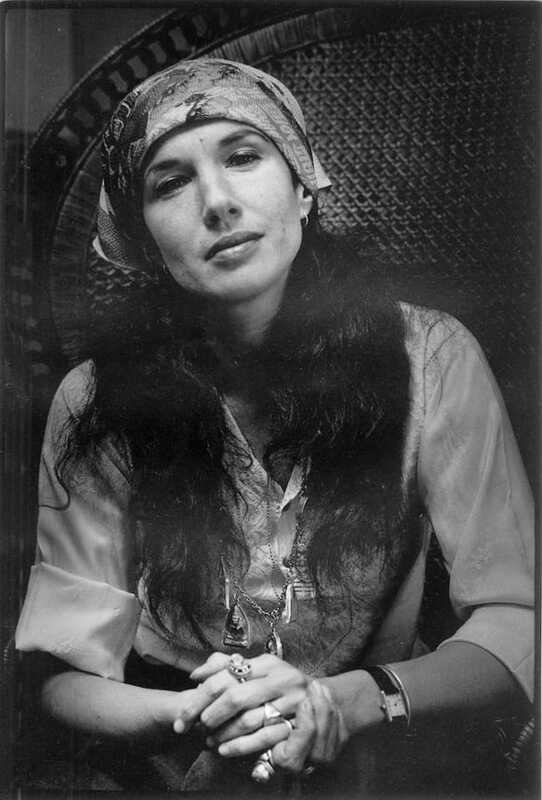 I urge you to visit www.maryellenmark.com to further explore this treasured American talent. So how did she influence me? There is much inspiration to take from what Mary Ellen Mark has given to the world of photography. Her incredible skill, for example. To be a fraction of the skilled photographer she was would be a worthy accomplishment. To be so incredibly consistent, another. To produce such powerful and moving images, yet another. To create our own legacies, to be an influence ourselves, perhaps the greatest inspiration of all. 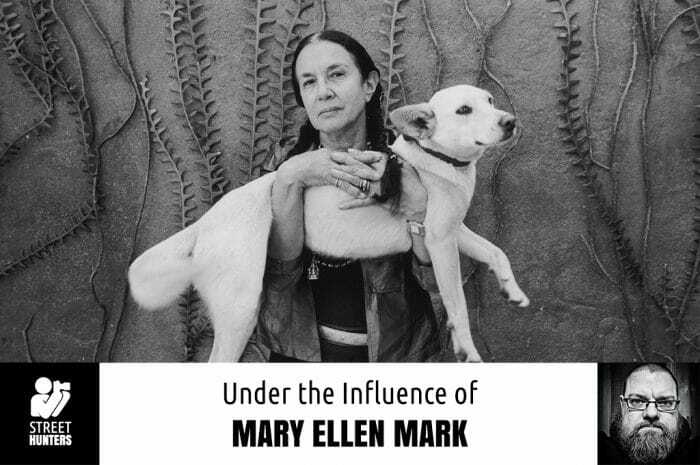 However, after digging into Mary Ellen Mark’s own words, there’s something bigger than all of the above. It’s at the core of what she did. It can be considered the foundation of Mark’s legacy. The one thing necessary to build our own legacies, even if only known to ourselves. It is essential in developing our own styles. And it’s necessary to continue our quest to be better photographers. On my own journey as a photographer, I’ve found myself trying to see how great photographers see the world. But, I have to think about Mark’s quote above and step back. To find myself as a photographer, I have to use my eyes, not try to use someone else’s. In trying to see like another, I run the risk of copying them and their style. This only serves to stunt my photographic growth. I believe this to be fact. That even in the smallest way, I put myself in the photograph. Whether it’s conscious or not, I do. The fact that I decided to take that particular shot at that moment, is a piece of me. Like the quote at the beginning of this post, that simple act of pressing the shutter at that moment is one of things that defines me as a photographer. This also takes me back to developing a style. At times, I feel like I’m light years away from developing my own style. It’s an incredible burden I’ve placed upon myself. A seemingly impossible task. But it’s an unnecessary burden. I think the key is to free my mind. To be myself. Don’t try to emulate a great photographer’s work. Take inspiration from the greats, for sure, but don’t create undue pressure. Use it to fuel my drive to be a better photographer. Use the inspiration to help free my mind, to open my own eyes, because individuality helps us along on our path to our own style. It’s less rocky path to be a clone, though. Mary Ellen Mark had no desire to take the easy road. She said, “I always felt that I wanted to be on my own, and work as an individual. And do my own work, and not be like a clone.” Being ourselves, as photographers, can be frustrating. There’s failure and lots of it. Probably more than if we just try to copy someone else’s style. I believe that I can only reach true bliss in photography by being myself. Capture the world as how I see it, and not how I think another photographer would have seen it. Seeing with my own eyes and not someone else’s. In doing so, I can be true to myself and my journey.